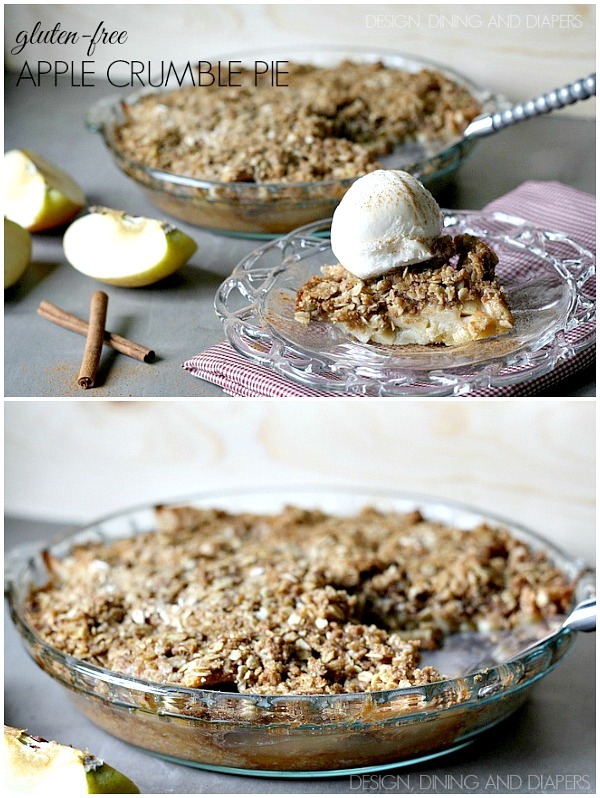 Easy and delicious Gluten-Free Apple Crumble Pie that will take you no time at all and you don’t need any fancy crust making skills! Hi All! 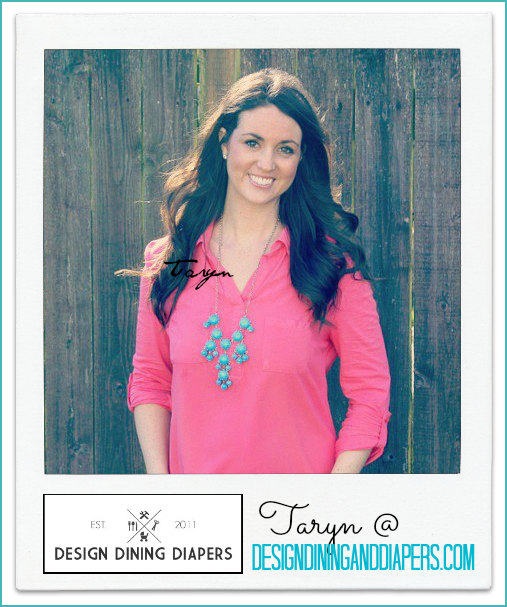 It’s Taryn from Design, Dining and Diapers and it’s always great to be here! I just love a good apple pie, don’t you? And what’s better than a super easy one? 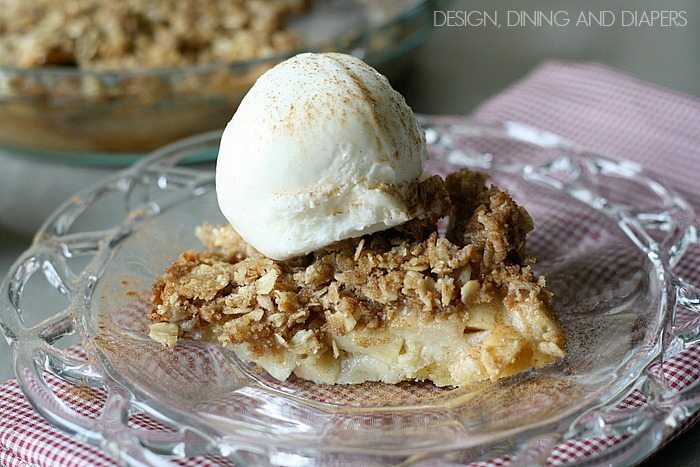 There is nothing better than a warm apple dessert in a Fall day. 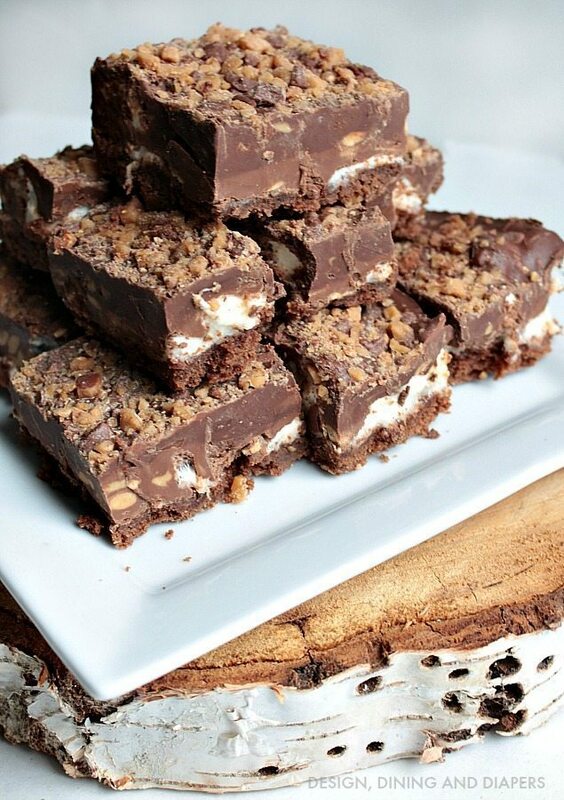 This dessert has me dreaming about the cold months ahead! You seriously won’t believe how easy this is to make! *Not all oats are gluten-free. If you are making this GF, make sure you use certified gluten-free oats. 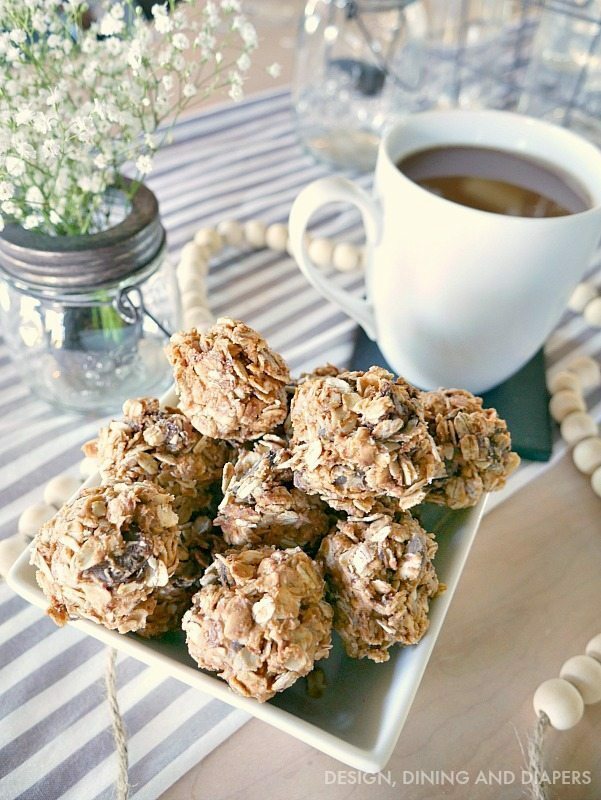 I use Bob's Red Mill Certified Gluten-Free Rolled Oats. In a food processor, combine the confectioners sugar, flour, butter and water and process until the mixture is crumb like. Pour the mixture into a pie pan and with your fingers, press the dough into the pan. Once the crust is evenly distributed, bake for 12-15 minutes or until lightly browned. Meanwhile, peel and thinly slice the apples and place them in a large mixing bowl and coat them with sugar. Place apples on top of crust. 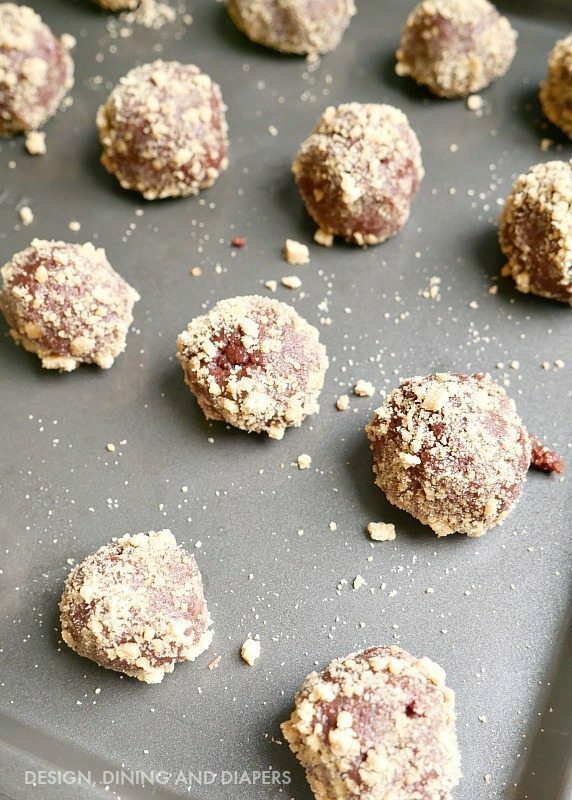 In the food processor, combine gluten-free oats, flour, salt, cinnamon, all-spice, butter and brown sugar and gently pulse until a crumble forms. 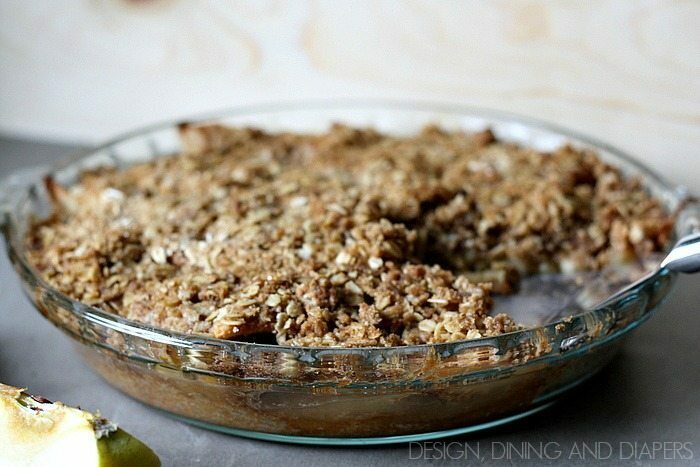 Spread evenly over apples and bake for 45 minutes. Make sure to stop by Design, Dinning and Diapers and also checkout these adorable ideas. Yummy! I have been trying to eat gluten free so this is perfect! Pie minus the crust is my favorite kind! 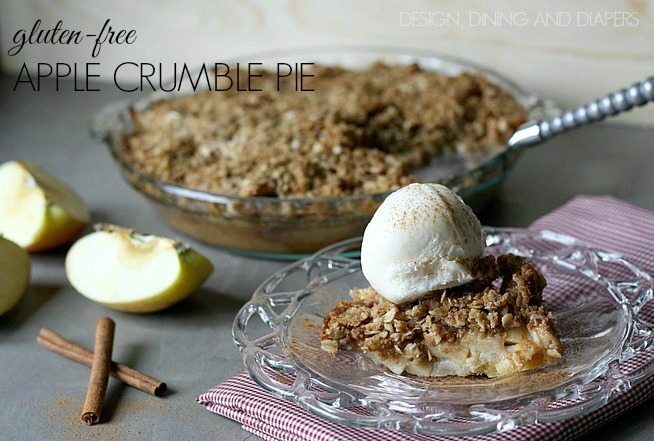 Especially with the delicious crumble topping…looks awesome, Taryn! I am always looking for gluten free recipes. Definitely going to make this!